Once one of Jesus’s most trusted disciples, Judas became the poster child for treachery and cowardice. From the moment he plants a kiss on Jesus of Nazareth in the Garden of Gethsemane, Judas Iscariot sealed his own fate: to be remembered as history’s most famous traitor. But by identifying Jesus to the Jewish authorities, Judas set into motion the series of events that became the foundations of the Christian faith: Jesus’s arrest, his trial, his death by crucifixion, and eventually his resurrection, known collectively as the Passion of Christ. Given how little we actually know about him from the Bible, Judas Iscariot remains one of the most enigmatic—and important—figures in Jesus’s story. In recent years, the discovery of the long-lost Gospel of Judas, a Gnostic text originally dating to the second century, has led some scholars to reconsider his role, and even to ask whether he might have been unfairly blamed for betraying Jesus. 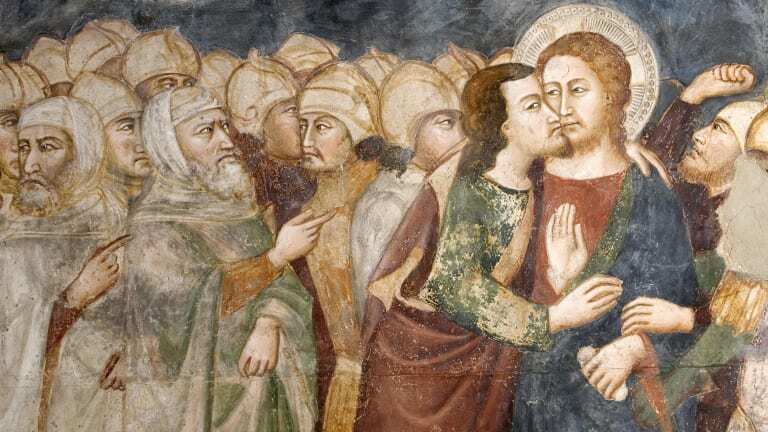 Though the Bible offers few details about Judas’s background, all four canonical gospels of the New Testament name him among Jesus’s 12 closest disciples, or apostles. Intriguingly, Judas Iscariot is the only one of the apostles whom the Bible (potentially) identifies by his town of origin. Some scholars have linked his surname “Iscariot,” to Queriot (or Kerioth), a town located south of Jerusalem in Judea. Alternatively, others have suggested that the name Iscariot identified Judas with the Sicarii, or “dagger-men,” a group of Jewish rebels who opposed the Roman occupation and committed acts of terrorism circa A.D. 40-50 on behalf of their nationalist cause. But there’s nothing in the Bible to link Judas to the Sicarii, and they were known to be active only after his death. 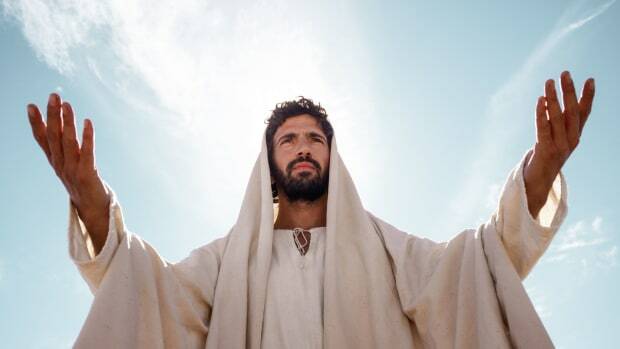 READ MORE: What Did Jesus Look Like? Jesus made an announcement of betrayal at the Last Supper. 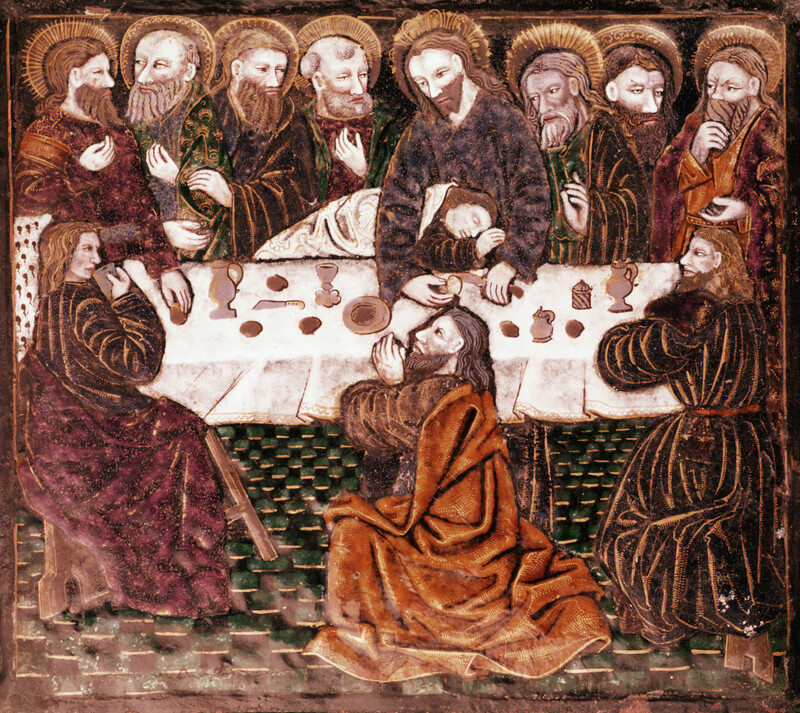 Judas is seen seated at the opposite side of the table. According to the Gospel of John, Jesus informed his disciples during the Last Supper that one of them will betray him. When they asked who it would be, Jesus said “It is the one to whom I give this piece of bread when I have dipped it in the dish.” He then dipped a piece of bread in a dish and handed it to Judas, identified as the “son of Simon Iscariot.” After Judas received the piece of bread, “Satan entered into him.” (John 13:21-27). Judas then went on his own to the priests of the Temple, the religious authorities at the time, and offered to betray Jesus in exchange for money—30 pieces of silver, as specified in the Gospel of Matthew. Like the Gospel of John, the Gospel of Luke also cited Satan’s influence, rather than mere greed, as a reason for Judas’s betrayal. John, however, made clear that Judas was an immoral man even before the devil got into him: He kept the “common purse,” the fund that Jesus and his disciples used for their ministry, and stole from it. “There have always been those who have wanted to tie Judas&apos;s betrayal to the fact that he had a love of money,” Cargill points out. Others have suggested a more political motive for his traitorous act. According to this theory, Judas might have become disillusioned when Jesus showed little interest in fomenting a rebellion against the Romans and reestablishing an independent kingdom of Israel. READ MORE: Why Did Pontius Pilate Have Jesus Executed? 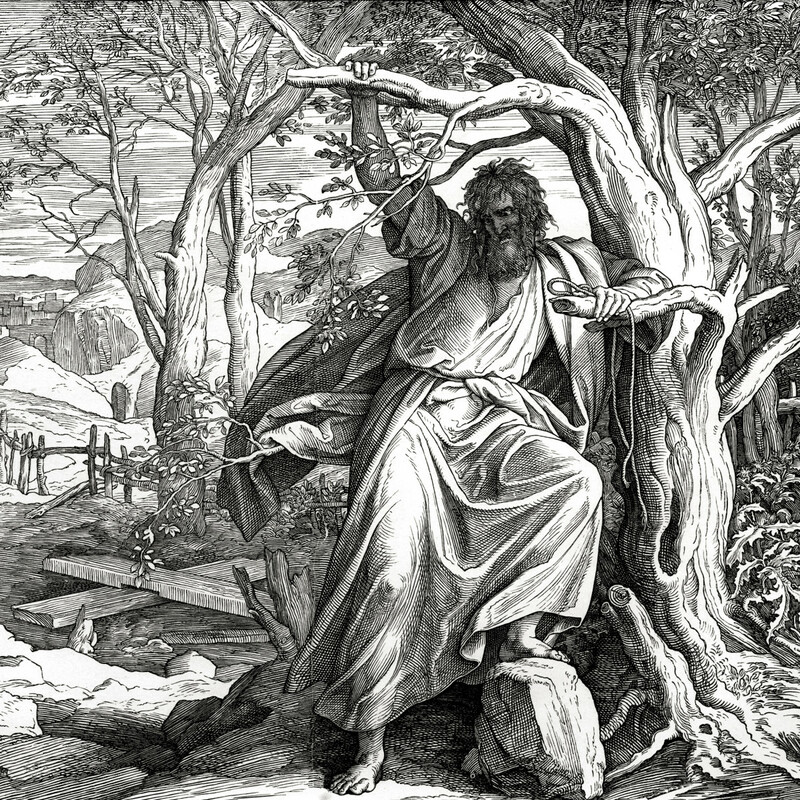 Whatever his motives, Judas led soldiers to the Garden of Gethsemane, where he identified Jesus by kissing him and calling him “Rabbi.” (Mark 14:44-46) According to the Gospel of Matthew, Judas immediately regretted his actions and returned the 30 pieces of silver to church authorities, saying “I have sinned by betraying innocent blood.” When the authorities dismissed him, Judas left the coins on the floor, and committed suicide by hanging himself (Matthew 27:3-8). The Bible offers differing accounts of Judas&apos;s death. The Gospel of Matthew describes him hanging himself after realizing the depths of his betrayal. The Book of Acts, on the other hand, describes his death more like a spontaneous combustion. According to another canonical source in the Bible, the Book of Acts (written by the same author as the Gospel of Luke), Judas didn’t kill himself after betraying Jesus. Instead, he went into a field, where “falling headlong, he burst asunder in the midst, and all his bowels gushed out” (Acts 1:18). This spontaneous-combustion-like process was a common form of death in the Bible when God himself caused people’s deaths. 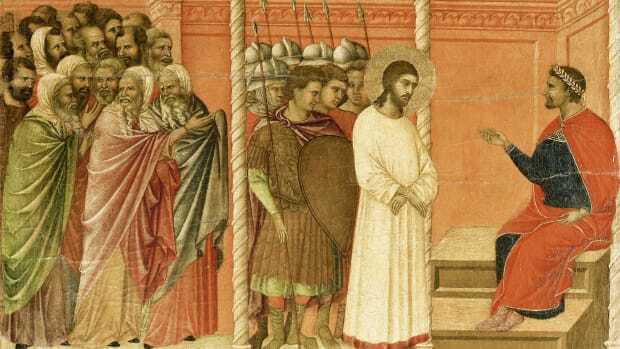 Judas’s betrayal, of course, led to Jesus’s arrest, trial and death by crucifixion, after which he was resurrected, a sequence of events that—according to Christian tradition—brought salvation to humanity. But the name “Judas” became synonymous with treachery in various languages, and Judas Iscariot would be portrayed in Western art and literature as the archetypal traitor and false friend. Dante’s Inferno famously doomed Judas to the lowest circle in Hell, while painters liked Giotto and Caravaggio, among others, immortalized the traitorous “Judas kiss” in their iconic works. 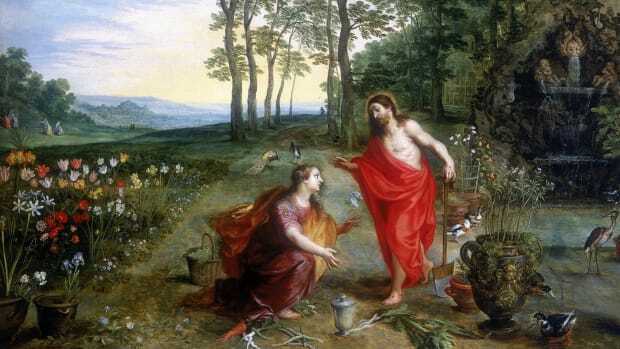 READ MORE: Mary Magdalene: Prostitute, Wife or None of the Above? Was Judas Really That Bad? 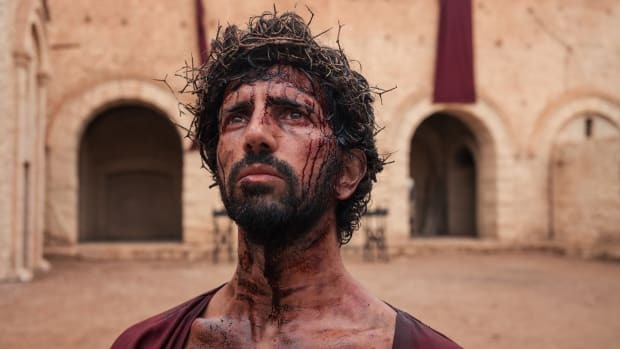 The historical tendency to identify Judas with anti-Semitic stereotypes led, after the horrors of the Holocaust, to a reconsideration of this key Biblical figure, and something of a rehabilitation of his image. Professor William Klassen, a Canadian biblical scholar, argued in a 1997 biography of Judas that many of the details of his treachery were invented or exaggerated by early Christian church leaders, especially as the church began to move away from Judaism. 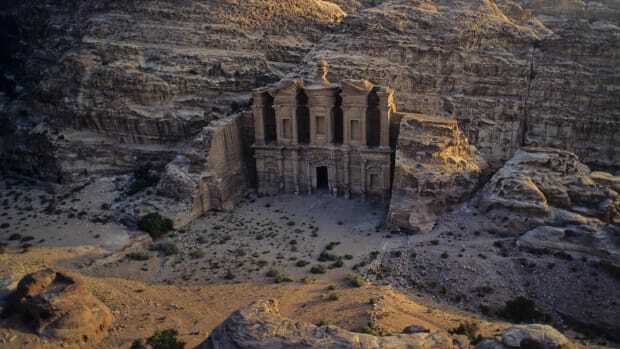 In 2006, the National Geographic Society announced the discovery and translation of a long-lost text known as the “Gospel of Judas,” believed to have been originally written around A.D. 150, then copied from Greek into Coptic in the third century. First alluded to in writing by the second-century cleric Irenaeus, the Gospel of Judas is one of many ancient texts discovered in recent decades that have been linked to the Gnostics, a (mostly) Christian group who were denounced as heretics by early church leaders for their unorthodox spiritual beliefs. Rather than denounce Judas as Jesus’s betrayer, the author of the Gospel of Judas glorified him as Jesus’s most favored disciple. In this version of events, Jesus asked Judas to betray him to the authorities, so that he could be freed from his physical body and fulfill his destiny of saving humanity. An ancient Coptic manuscript dating from the third or fourth century, containing the only known surviving copy of the Gospel of Judas. 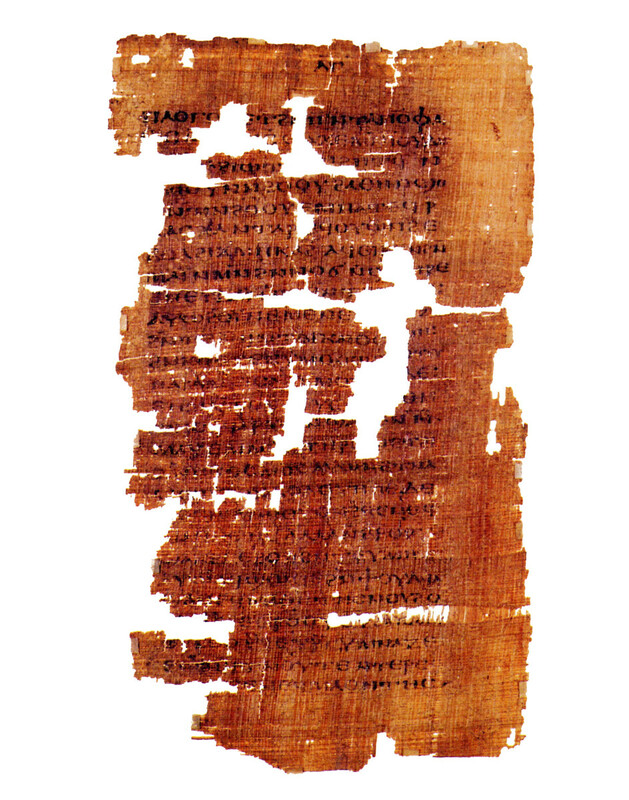 Controversy surrounds the Gospel of Judas, as some scholars have argued that the National Geographic Society’s version represented a mistranslation of the Coptic text, and that the public was wrongly made to believe the document portrayed a “noble Judas.” In any case, the fact that the Gospel of Judas was written at least a century after Jesus and Judas died means that it provides little in the way of historically reliable information about their lives, and certainly doesn’t provide the missing link to understanding Judas Iscariot’s true motivations. 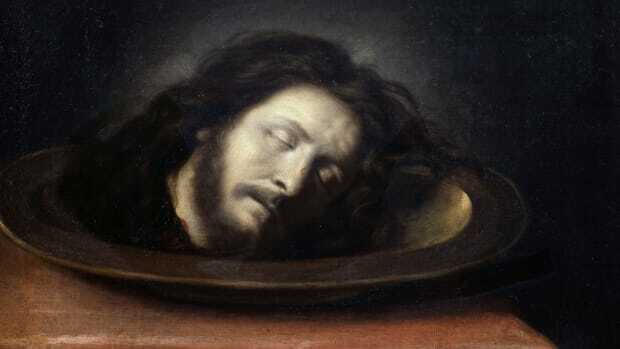 Where is the Head of Saint John the Baptist?